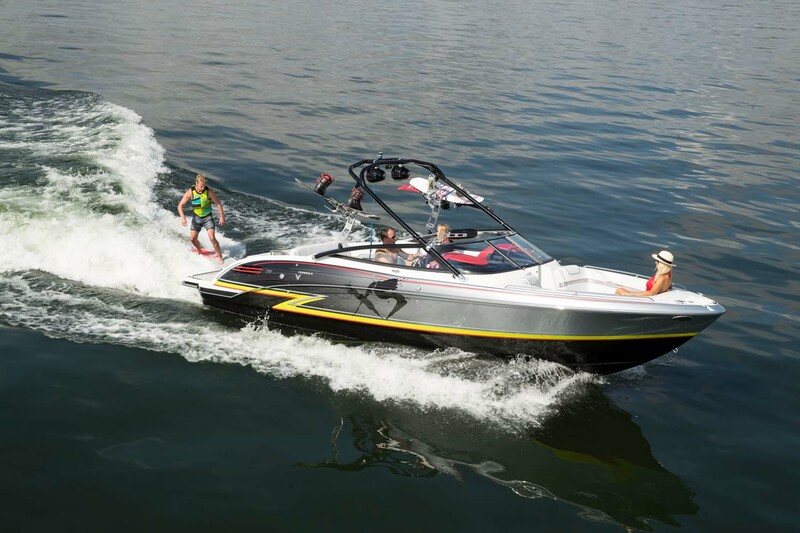 The New Formula XS – Xtreme Fun. Xtreme Family. Xtreme Sport! The Volvo forward-facing drive makes all tow and wake sport adventures possible on the Formula deep-V hull that cuts through chop and has room for your growing family and expanding circle of friends. A larger swim platform, convertible aft sunpad, backrests that adjust for seating in the round, and table arrangements that serve you throughout the day make lasting memories for all. You’ve worked hard, played hard, and always rewarded with the best. And as your family has changed, you still yearn for those on-water adventures that draw everyone together.